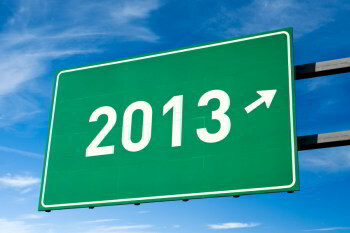 With the end of the year approaching, many small businesses owners and HR professionals are immersed in 2014 planning and strategy. Need some inspiration? Here's a look at our top five small business HR articles of 2013. These represent our most read, most commented on, and most shared articles on small business HR this year. Topics include employee retention, HR trends, and employee health benefits. For businesses to thrive in today’s economy, finding and retaining the best employees is important. This is especially true for small businesses and nonprofits competing with larger businesses, and larger budgets, for top talent. Some studies predict that every time a business replaces a salaried employee, it costs 6 to 9 months’ salary on average. But others predict the cost is even more - that losing a salaried employee can cost as much as 2x their annual salary, especially for a high-earner or executive level employee. The corporate world is constantly changing, and that means roles within it are changing as well. Recently these changes have been opening up opportunities for HR managers. With rapid growth of the knowledge economy and third party administration taking over many of the traditional HR and benefits tasks, HR managers now have the chance to broaden their roles and make a bigger impact in driving growth. A significant milestone for any small or growing businesses is offering small business health insurance for the first time. Your business is off the ground, you're looking to hire your first employee, or perhaps you need a health benefits package to retain a key employee. So, where do small businesses start when they're ready to offer employee health benefits? With key provisions of the Affordable Care Act taking effect soon, HR has been tasked with understanding health reform, deciding their health benefits strategy, implementing any changes, and communicating information to employees. The information you'll need to communicate to employees may vary by the size of your organization and what type of health benefits you offer employees, if any. Once you've determined what needs to be communicated, it's now time to decide how to communicate this to employees. This article looks at 5 ideas on ways to communicate your organization's health reform strategy to employees. This article provides an overview of Health Savings Account (HSA) rules and requirements for 2014. The HSA contribution limits and out-of-pocket maximums have been increased from 2013. What types of small business HR topics would you like to see in 2014? Leave a comment below.